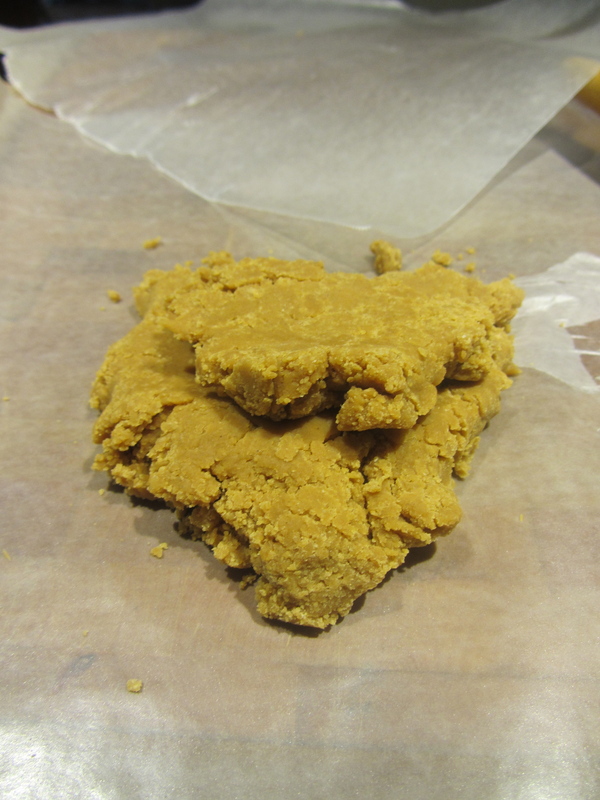 The honey flow is in full force right now. While everyone else is hacking and sneezing, the bees are taking advantage of the spring blooms. They’re crazy busy collecting pollen and nectar, procreating, and making honey. Go girls, go! We did have a minor setback about 2 weeks ago. Frost set in for several evenings, chilling the eggs and larvae, as shown in the photo below, and setting the girls back a week or two. 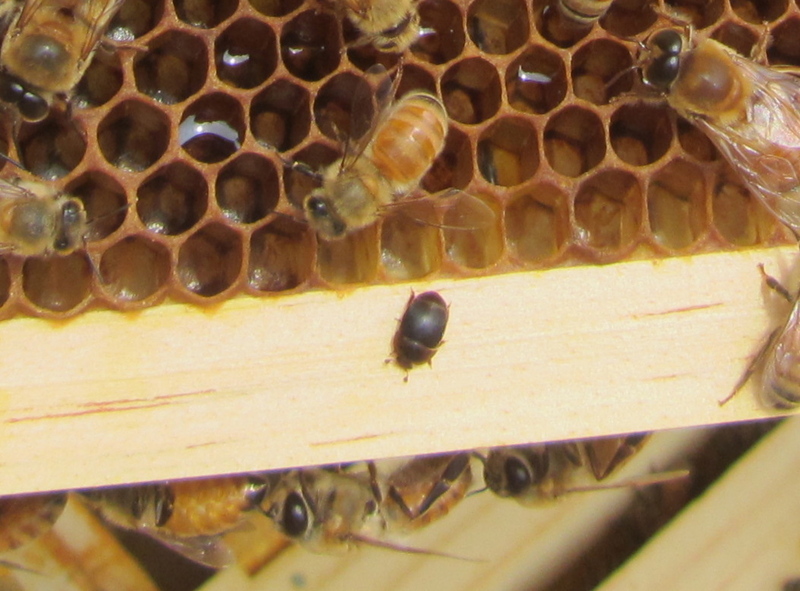 When I inspected the hives, I naturally thought the queen was once again having issues. But seeing as I’ve been through this exact scenario only a few weeks earlier, I checked back a week later and found the queens were back in business, quickly laying new brood. I added supers to all hives about a month ago. This past week I lifted them off for inspection and realized how heavy they are already! 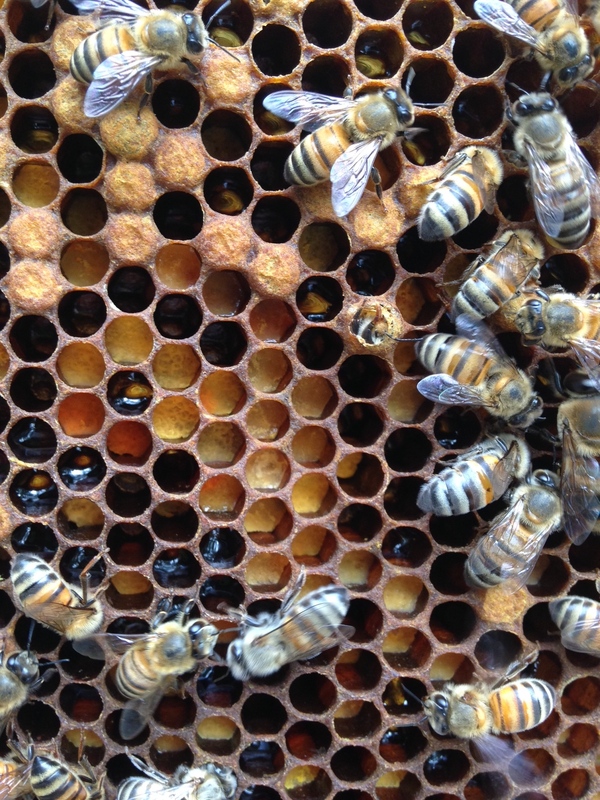 That’s exciting news and could indicate a good honey harvest (no jinxing). 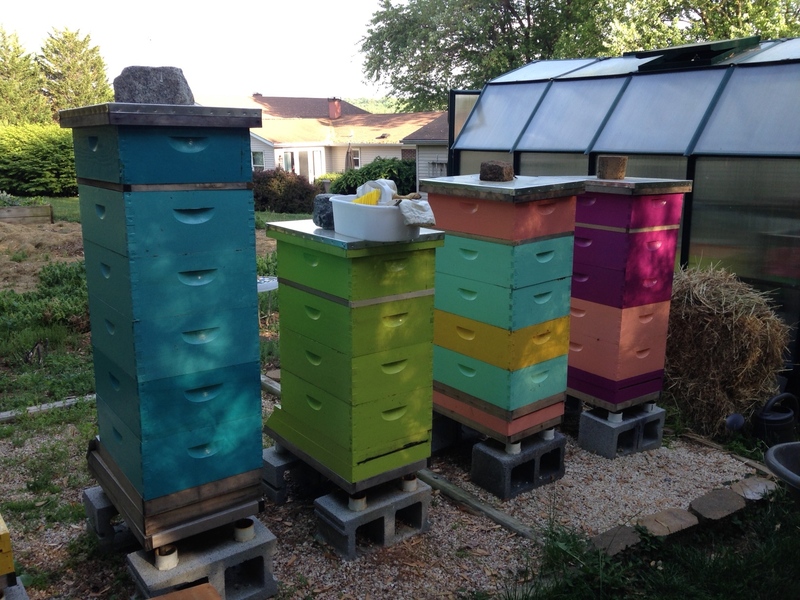 By this weekend, I hope to have a second layer of supers on all of my hives. Good thing I’ve been cleaning frames and boxes. I’ve stacked quite a few boxes in the greenhouse. Lots of light in there to keep wax moths away. I’ve given up on maintaining consistent color schemes and have succumbed to mixing them up. 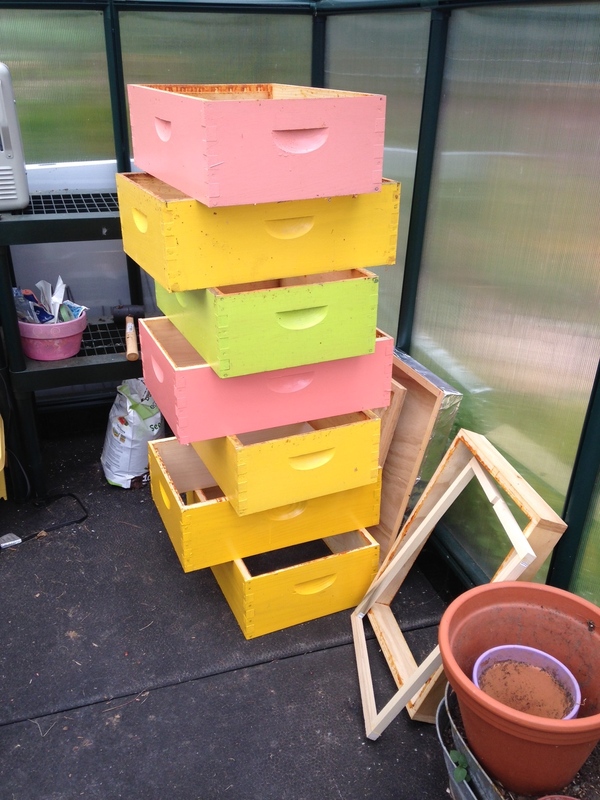 In addition to adding supers, my other strategy was to adapt “The Rose Hive” method of adding brood boxes just above the bottom box to expand the brood chamber (laying area) rather than expanding from above. Bees swarm because they run out of space to lay and/or there’s lack of ventilation. 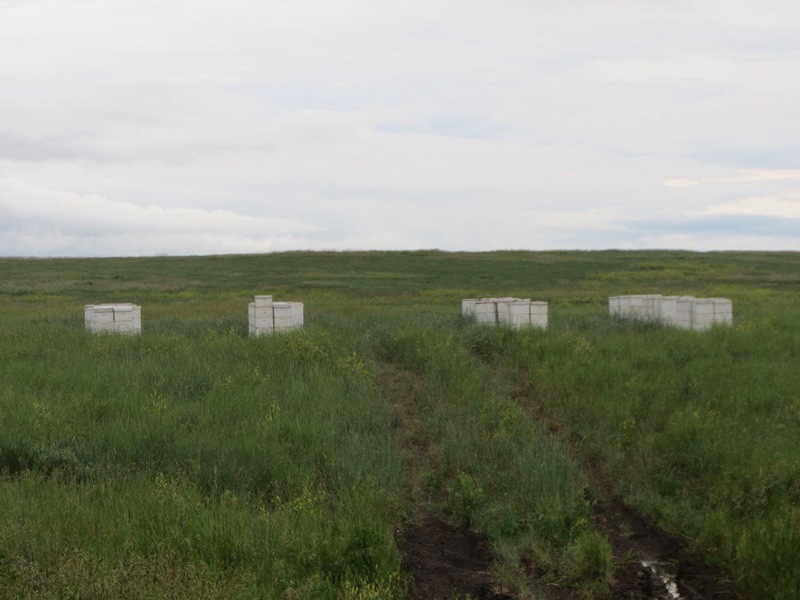 The theory is that if you continue to expand the brood chamber and ensure they have plenty of room, then they will continue to populate and won’t have reason to swarm. Makes perfect sense to me! I don’t believe you can ever prevent them from swarming, but they may bee inclined to stay a bit longer. With that said, all of these supers and brood boxes are stacking up into some pretty tall colonies. 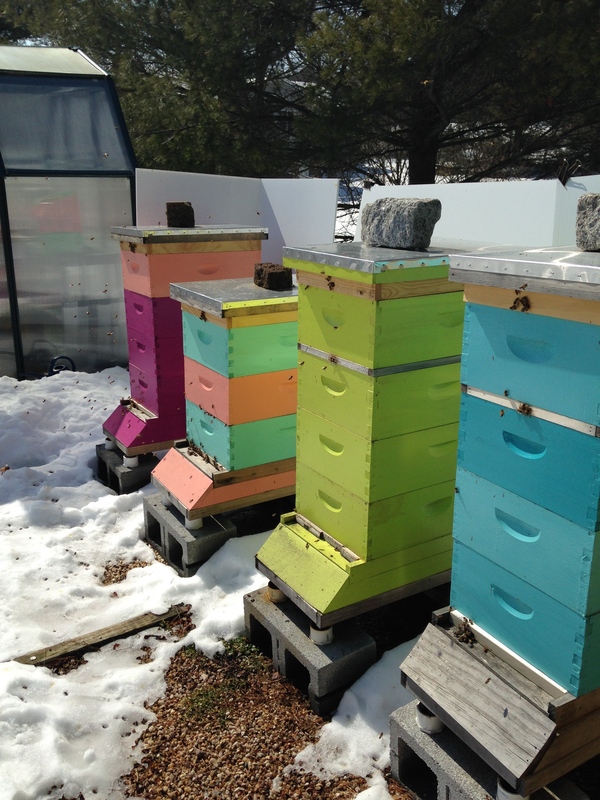 My next strategy is to start splitting so we can get yellow hive back up and running. Loving this gorgeous spring weather. Hard to get upset about the pollen when I know how happy my bees are. Hang in there everyone, and keep eating your local raw honey. The more local the better! Yellow Hive 2 (YH2) is still having problems. 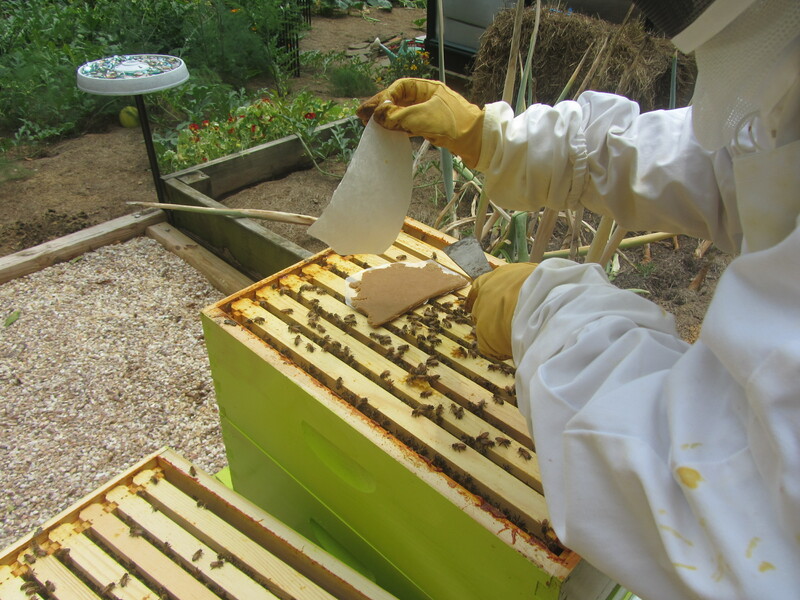 Based on the last inspection, the hive has Small Hive Beetles and the comb is empty and without brood. I also found a wax moth larvae. All serious issues if not dealt with right away. 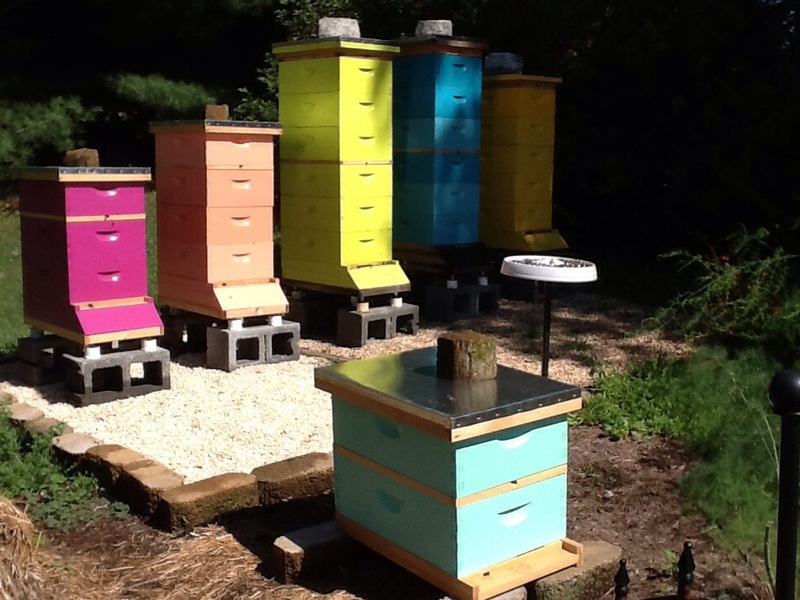 The best defense for any hive against pests is a strong colony. Granted, YH2 has not been as active, but it still has ALOT of bees, and they are still guarding their hive. After speaking with my bee supplier, he suggested I reduce the size of YH2 from 4 boxes to 3 boxes. This condenses the colony so they have more bees and less space to cover for fighting off the beetles and pests. His other suggestion, besides using a hive beetle trap inside the hive, was to take a frame of brood from GH1 and put it into YH2. This would give the YH2 girls a good foundation for breeding a new queen. I also started feeding the girls pollen patties since they’re not bringing in pollen and they really need the protein. 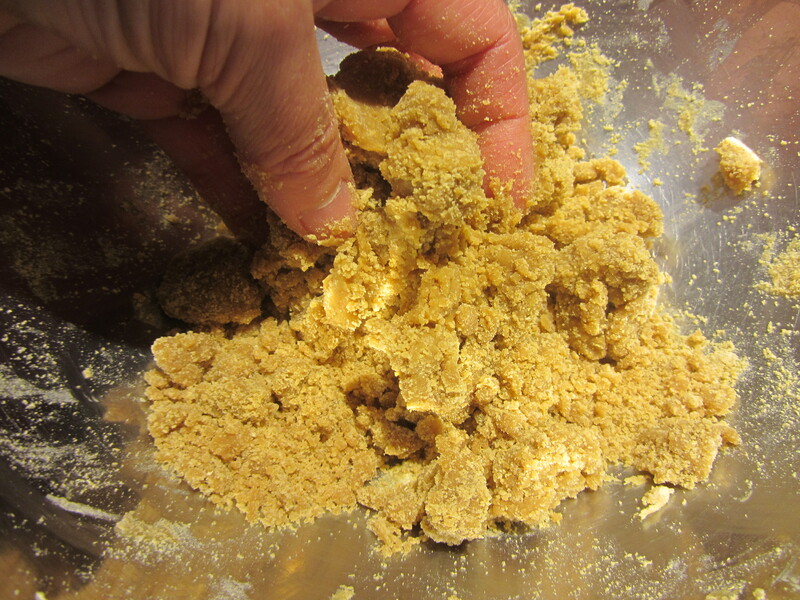 I had ordered a bucket of BeePro pollen substitute, mixed it with sugar syrup and HoneyBHealthy, and rolled out my own homemade pollen patties. The girls have taken to them well. I posted this tutorial on SnapGuide, so go check it out! 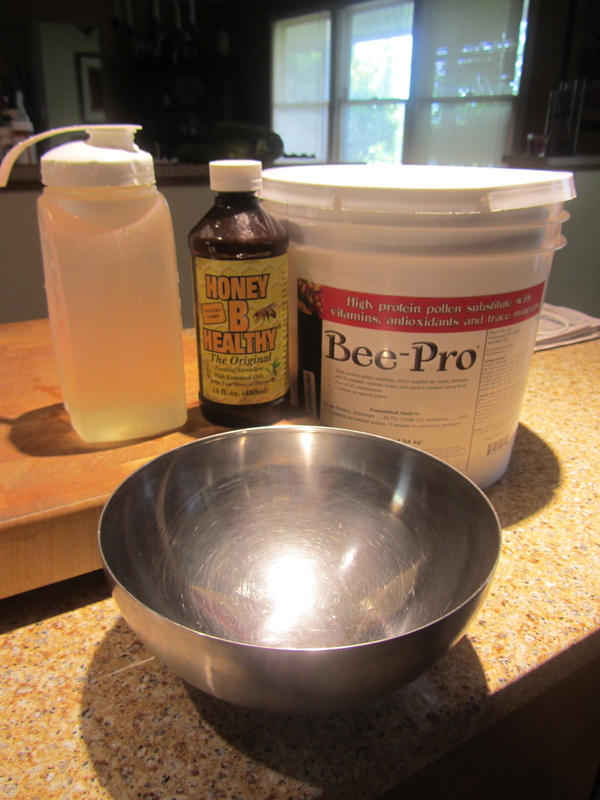 Check out How to How to Make Pollen Patties for Bees by Paula P on Snapguide. Inspections are one thing, but this time I really had to know exactly what to do and how to do it BEFORE going in. I entered YH1 first, removed all the boxes down to Box 1. I looked through box 1 to verify there indeed was no brood. And I couldn’t find a queen, and no brood means either she’s died or she’s not in good laying order. So that meant leaving YH2 open while digging into GH1 for a frame of brood. GH1 has been doing outstanding, so they could afford to help YH2 out. I removed a center frame from YH2’s bottom box, shook off the bees and set it aside. I don’t like just leaving the boxes open like that. The bees operate in a dark hive and don’t care for the sunlight, plus they fly around like crazy wondering what’s going on. A fellow Maryland beekeeper and blogger, Suburban Rancher, suggested overlaying open boxes with pillow cases. A brilliant idea, except I didn’t bring any pillow cases with me to the apiary, and I don’t know that I have any on hand anyway. Then I remembered I had some black landscaping fabric. I pulled it out of the greenhouse and laid it over YH2 and it worked like a charm. It’s lightweight, keeps the bright light out, and the bees were more settled and not flying around everywhere. 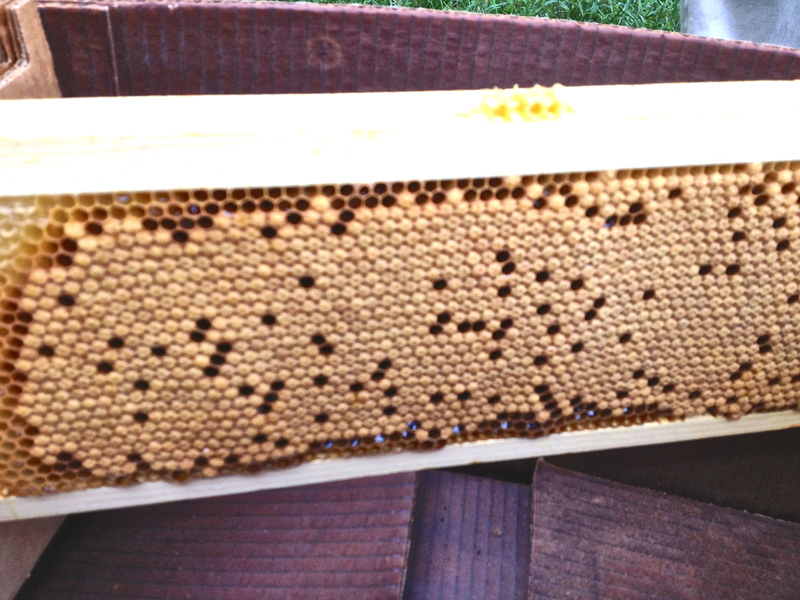 I opened GH1 and removed a beautiful frame of capped brood, verified the queen was not on it, then shook the bees off and back into the box. I replaced that frame with another drawn out frame from an upper GH1 box, and replaced the upper frame with a brand new frame. GH1 received a nice pollen patty as a reward for their donation, then I closed them up and grabbed their empty feeder bucket for a refill. 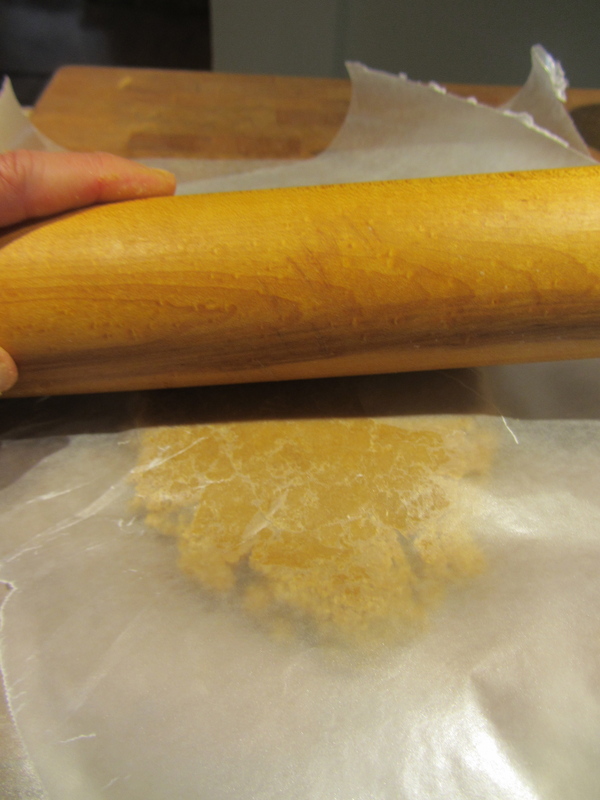 GH1 goes through a lot of sugar syrup! I also did not see any beetles in their hive. A testament to a strong hive’s ability to fight off their foes. 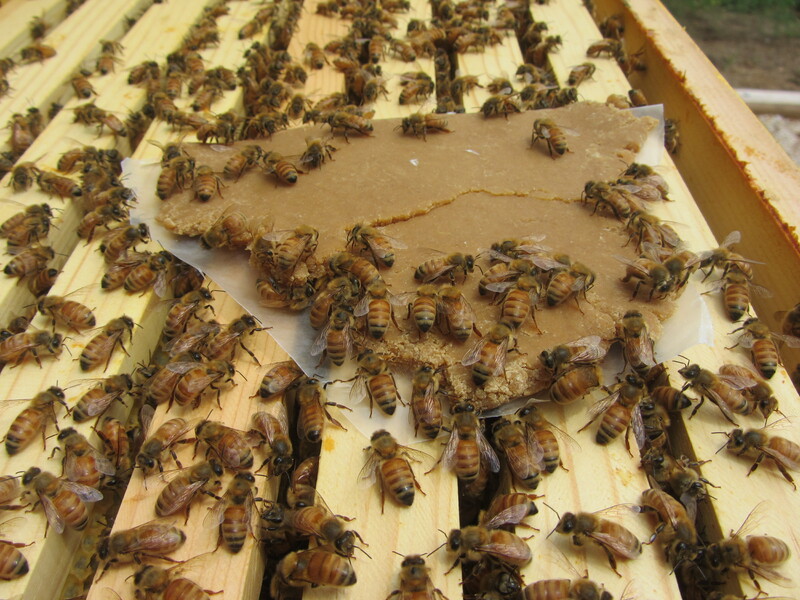 I placed the capped brood frame into YH2 and placed a pollen patty over the top bars of the brood area. 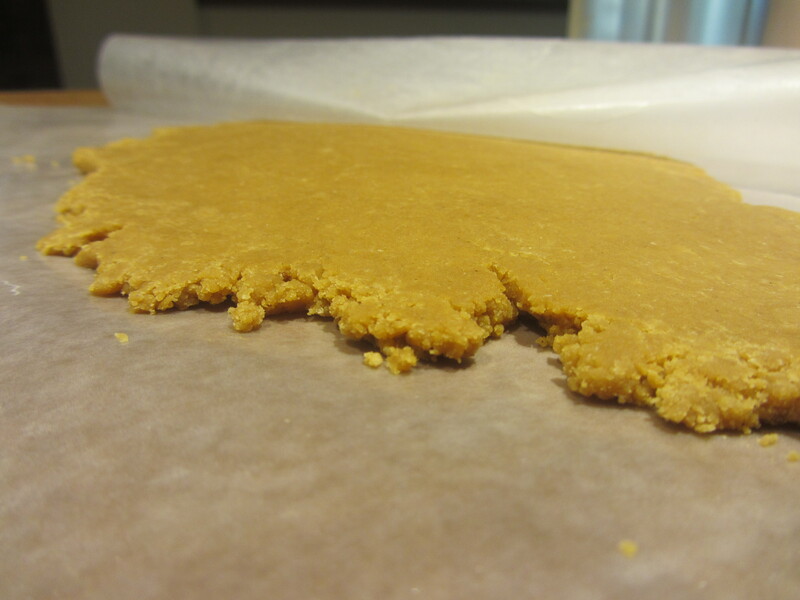 The last pollen patty was completely consumed so I was hoping this one would be just as popular. Protein aids in brood production. In this case, I hoped it would aid in queen production. Beetles were emerging left and right. I smooshed as many as I could. I’m sure a few will go for the pollen patty. 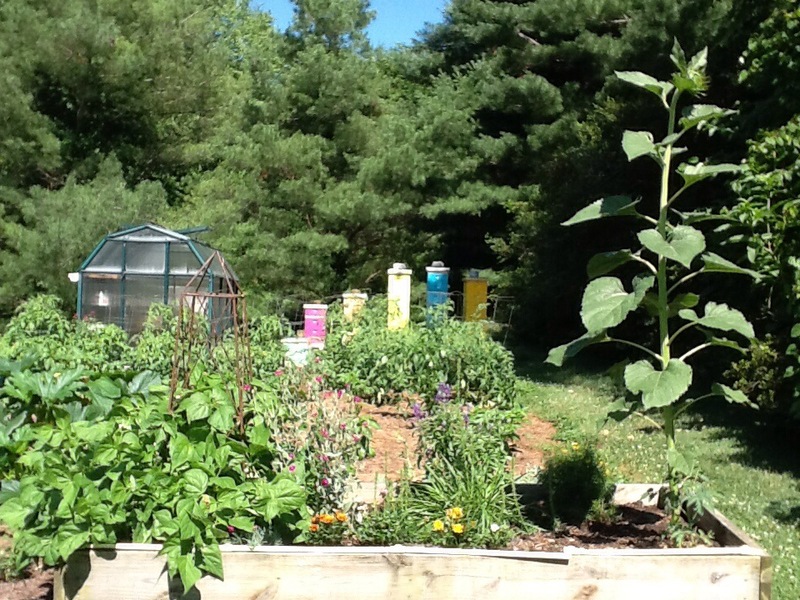 I closed up the hive, with the exception of box 4 (the top box). I shook the bees from box 4 into the hive and left YH2 with only 3 boxes. I wrapped box 4 with kitchen trash bags and happily discovered that the entire box and frames fit comfortably in the bottom of my freezer. 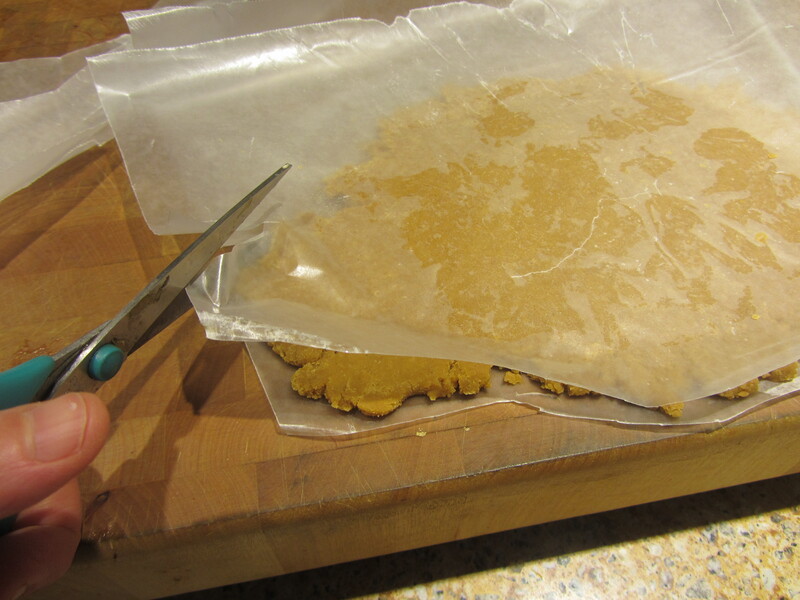 Freezing will kill any unwanted pests and bacteria and then I can figure out how to store it for later. 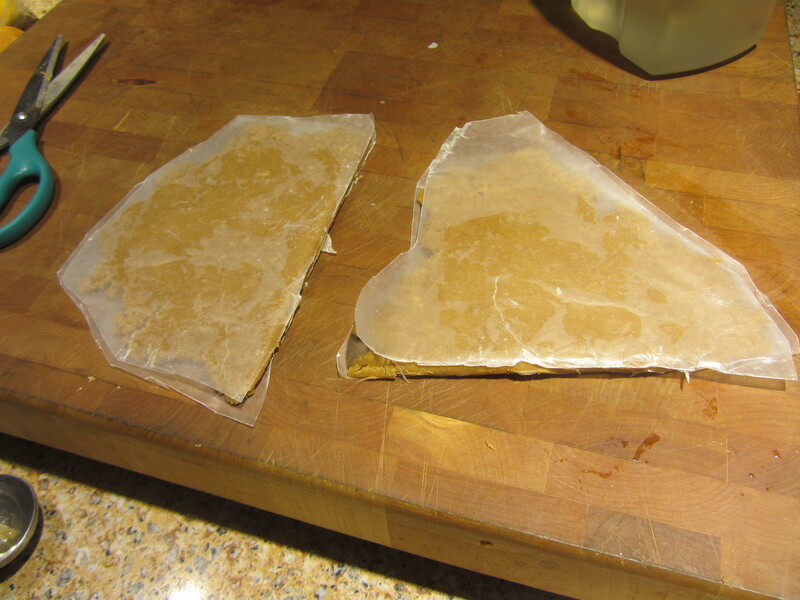 I also inserted two homemade hive beetle traps made with CD cases and some boric acid bait into the hive entrances. The bees chase the beetles around, and hopefully the beetles will seek refuge in the bait filled CD case. This is an experiment so we shall see if they work. I’ll still be picking up some Beetle Blaster this weekend. YH2 only ate half their sugar syrup. I refilled it anyway. Now we just wait and see if YH2 can requeen and make a total recovery. Fingers crossed.